Home / What does MBA stand for? Officially, MBA is an acronym for Master of Business Administration, but it stands for so much more. Really, what does MBA stand for? We believe that MBA stands for having the capability to release your inner superhero and go above and beyond to not only reach your goals, but exceed them. As an MBA student at Salford University, you have the opportunity to harness your skills and explore your talents to achieve extraordinary feats. Essentially, you are given the power to discover, unleash and develop your unique super-abilities. An elite team called “The Experts” have been introduced to represent and further depict what an MBA stands for. This team consists of international members who possess a distinctive and important skill that can be found in an MBA student. Linda Leader strives for the absolute best. She takes charge of the team and ensures that each member efficiently utilizes their skill to achieve optimal results. Linda uses her exceptional communication and interpersonal abilities to effectively work with others and build strong professional relationships. She inspires the team to not only accomplish their goals, but motivates them to push past their limits as well. Linda Leadership drives the team into the right direction. Imran Innovator doesn’t think outside the box, he thinks outside the triangle. He is constantly pushing beyond the boundaries to form new and creative ideas. Imran has the ability to harness both his imagination and logicality to deliver unique and cutting edge results. His visionary way of thinking is advantageous as it provides the opportunity for differentiation amongst competitors. Not only is Imran Innovator regularly up to date on advancements and current trends, he is also creating them as well. Riku Researcher has a curiosity for knowledge. She dives herself into an ocean of data and surfaces with a treasure of significant information. Essentially, she has the capacity to review and make sense of extensive statistics and literature to discover the most relevant facts. Riku uses her evidence to not only establish concrete conclusions, but also to provide solutions. During investigation, Riku Researcher is highly diligent and detail oriented as she aims to successfully apply her theories into practice. Sesan Strategist challenges conventional thinking. He is aware of the impact opportunities and threats can have on business practices and thereby works to leverage positive change and minimize possible risks. Sesan possesses strong decision making ability as he is regularly required to devise systematic plans to create competitive advantage. Since he is highly determined to meet the set objectives, he strongly focuses on the task at hand to produce favourable results. The Experts only portray a few of the many amazing qualities of a MBA student. Do you know what your super skill is? What makes an ordinary person super is their determination to not be defined by weakness. Through the MBA program at Salford University, you will be given the opportunity to learn, progress, and develop to be the best version of yourself. 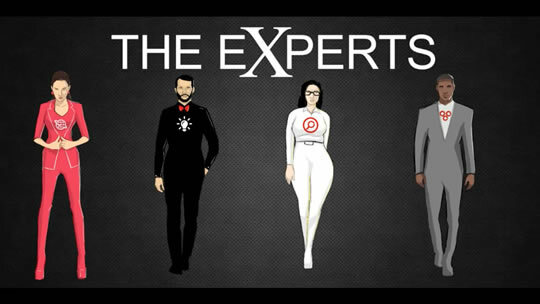 Take Our Quiz – Which MBA Superhero are you? 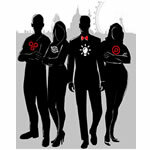 Tags: MBA, salford business school, salford university, superhero, The Experts, What does MBA stand for? Comments Off on What does MBA stand for?